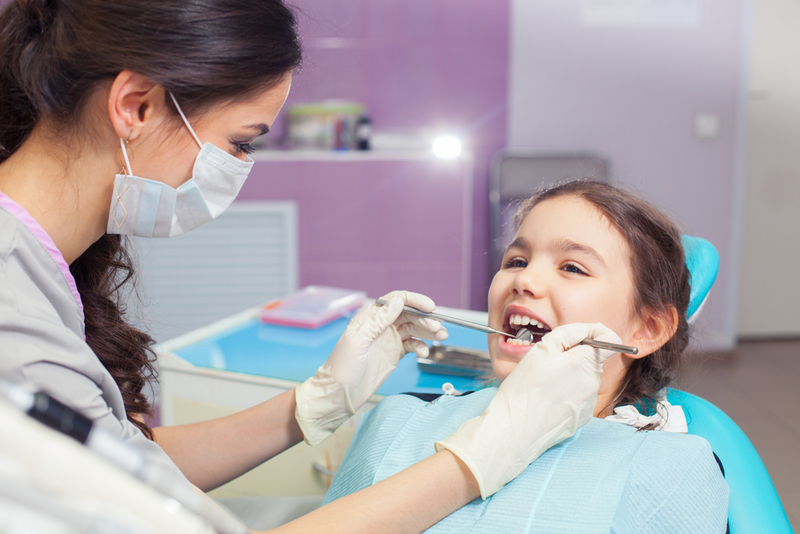 To encourage good dental hygiene habits, it’s important to take your child to a kids’ dentist regularly. Diane M. Evans, DDS, knows how to make your child feel comfortable in her Rush, New York, office. With young patients, she focuses on educating you and your child about oral health. Here, she offers some tips you can follow to lay the groundwork at home. These will help make your child feel at ease when they come for routine checkups. The sooner your child gets accustomed to seeing the dentist, the more comfortable they will feel. You can take your child to the kids’ dentist as soon as they sprout their first baby teeth. In the beginning, your child may not sit still for a cleaning or even a dental exam, but over time, they will become accustomed to it. Children love to play pretend. Take advantage of that fact by pretending to be the dentist or the dental patient at home, whichever they enjoy the most. It’s important to keep all interactions positive. Instead of pulling teeth or inflicting pain, these pretend visits should be about brushing teeth and examining them. You can also read books about going to the dentist with your child. If you can find age-appropriate TV shows that include a dentist visit, that’s a good idea, too. Your child will pick up on your subconscious feelings. That’s why it’s important to stay calm and positive at the kids’ dentist office, even if you don’t like going to the dentist yourself. If you’re afraid of the dentist, then you should schedule your own dental visits separately, when you can go without taking your child with you. Are you looking for a caring kids’ dentist? Give the office of Diane M. Evans, DDS, a call at (585) 321-1460. They encourage you to make regular dental appointments to instill good oral hygiene habits in your child. Visit their website to learn more about this family-friendly dentist.